One of the things that I love most about this series is the idea that anyone can become a hero no matter how rough around the edges you might be. In this fifth book in the series, the Princess Magnolia finds herself up against a rather tricky foe. As she travels to visit Princess Sneezewort in a neighboring kingdom, a monster has, unknown to her, hitched a ride on her carriage. As she and Princess Sneezewort enjoy their 'playdate' the monster attempts to eat several pets in a park nearby. 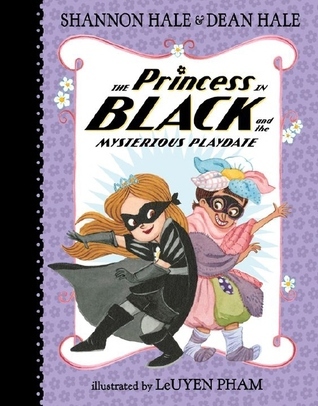 Naturally, the Princess in Black rushes to the rescue, but this time she gets help from a surprising source. Princess Sneezewort, having read an article about the Princess in Black, is determined to be a hero, so she dons a disguise and rushes off to help as the Princess in Blankets. But the monster is particularly tricky and can change his shape. Only by working together, using their own unique talents, can the two princesses defeat this monster. Once again, the Hales have written a delightfully funny and adventurous story about following one's own path. 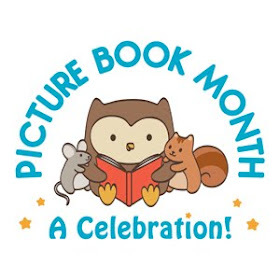 Pham's illustrations are gorgeous and complement the story beautifully. A truly winning series that is bound to be loved by young readers. What will it take for a cynical older sister to realize she's a born accordion player -- with music in her heart? Once again, Kate DiCamillo delights with her insights into a mostly unlikable character. Anyone who has read Mercy Watson remembers Eugenia and her sourness as well as her dislike of pretty much anything that doesn't fit into her neat, orderly world. But it's fun to read about a different side to Eugenia as she discovers that sometimes it's the unexpected things in life that bring the most joy. When an accordion is delivered to her house, Eugenia is seriously annoyed. All she wants to do it to get rid of the thing. The last thing she expects is for someone to show up offering to teach her how to play it. But after several efforts to get rid of the unwanted instrument, Eugenia discovers that maybe, just maybe, there is more to her than she ever imagined. 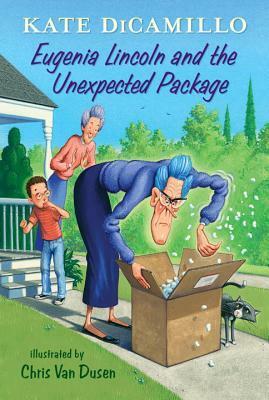 With Van Dusen's fun illustrations to complement the story, DiCamillo humorously reminds readers that there is always hope, even for a rigid, cranky old lady. How cute! My kids love the Princess in Black series. We have all the books but this last one. I smell a birthday present!